Hasyudeen: Would Accountants Be More Relevant To SMEs? 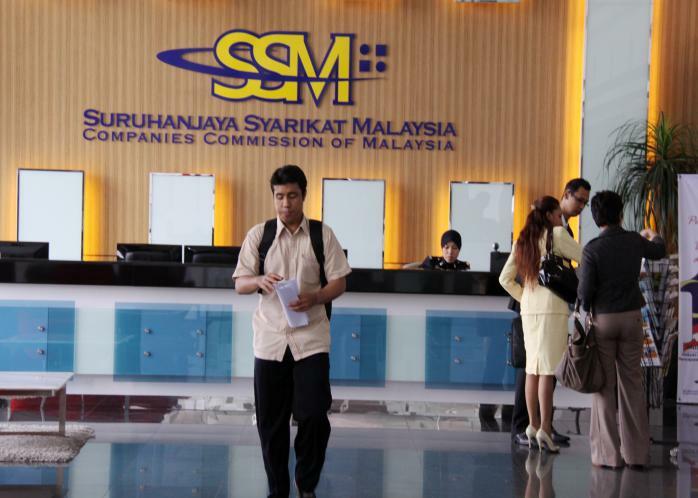 The Companies Commission Malaysia (SSM) has finally issued a draft regulation in exempting small companies from mandatory audit requirement. Malaysia is among the last few countries in the world that still requires all limited liability companies, big or small, to be audited. In many other jurisdictions, audit is only mandatory when companies have reached certain size and significance. For those who are not familiar with audit, it is an independent opinion provided by an auditor that financial statements of the companies, which have been audited, provide a true and fair view of their results and financial positions, among others. Auditors must be independent. If this is tainted, the value of audit is gone. Auditors only report to shareholders, not to any other parties although audited financial statements are filed with regulators. This is a very important point as sometimes, some auditors argue that the benefits of audit transcend the shareholders and also benefit creditors and financiers. There are a number of reasons why exempting small companies from audit makes sense. First, most of these companies are at the early stages of their business lifespan. Resources are limited and the founders have to manage many critical issues in order to ensure their companies do not become another statistic as failed companies. They need nurturing from professionals who understand the basics of business and able to assist entrepreneurs in navigating compliance requirements of various laws and regulations. Accountants are among the professionals who can provide the helping hand. They can help these companies get their costing right, prepare annual budgets, ensure reliable accounts are prepared and provide tax and other advisory services. The accountants are not allowed to offer most of these services if they act as auditors as due to the independent rules. Getting small companies to procure different services from many firms would further stress their limited financial resources. Which services are more relevant to these small and medium enterprises (SMEs)? Those that help them to be a better entrepreneur or the one that focusses in ensuring their history is reported fairly, to themselves? Second, the new Companies Act allows companies to have single shareholder and director. How would audit report be valuable if it is tabled to the same person who is responsible to prepare those financial statements in the first place? Even for companies with more than one director, the value of an independent opinion on financial statements to owner-operated companies needs to be proven. This should not be confused with the need for companies to prepare financial statements that comply with accounting standards. Small companies have to comply with the Private Entities Reporting Standards soon. Hence, the services of accountants would still be needed. The only difference is that they help to compile financial information in accordance with the applicable standards while at the same time are not prohibited from offering other value-added services, which could taint their independence if they act as auditors. The third reason is more concerning. Can the accountancy profession assures the public that the audit services offered by their members meet the professional standards expected by the profession itself? The Malaysian Institute of Accountants (MIA) had been conducting reviews on the work of auditors who audited non-public interest entities for many years. Since the first round of review until last year, at least half of the audit work being reviewed were found to have failed to comply with auditing standards imposed by the MIA. If this percentage of compliance failures by auditors is extrapolated across hundreds of thousands of audit performed every year, would the picture make the accountancy profession proud? For a profession that has adopted integrity as one of its core values, this issue has to be addressed if it wants to make audit mandatory. While the threshold of the exemption is being finalised, the best interest of the small companies should be the basis of any decision. This is where public benefits should override any sectoral lobby. After all, the small companies of today would be the giants of tomorrow. Efforts should be focussed on getting them to grow before they are expected to adhere to higher governance standards as the number of stakeholders around them grow. Other government agencies such as the Inland Revenue Board of Malaysia (IRBM) should not be the deal breaker of this good initiative set by SSM. The IRBM has its own regulatory tools such as field audit and investigation. If under the present mandatory audit regime those tools are still being heavily used, it shows that audit and tax compliance may not necessarily have strong correlation. There are certainly opportunities for accountants to be more relevant to SMEs. This audit exemption would challenge accountants to enhance their value propositions to their clients, like what other service providers need to prove in this competitive world.